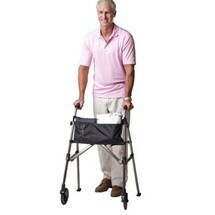 This amazing, stylish walker folds effortlessly with just one hand; stands when folded, to keep handy. To open, simply slide the handles apart. Made of anodized aluminum, it weighs only 7 lbs, but supports 400 lbs. Height adjusts from 32" to 38" (4'10"- 6'8"). 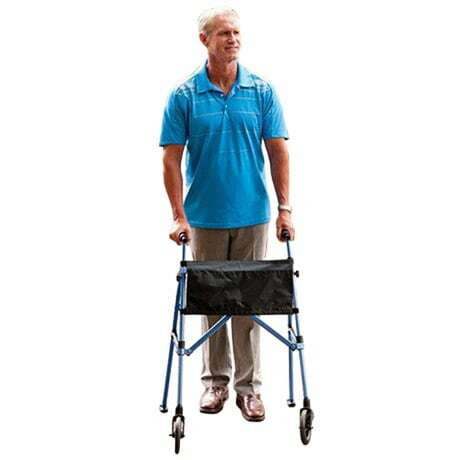 Rear easy-glide feet, 6" urethane front wheels and one handy pocket organizer. 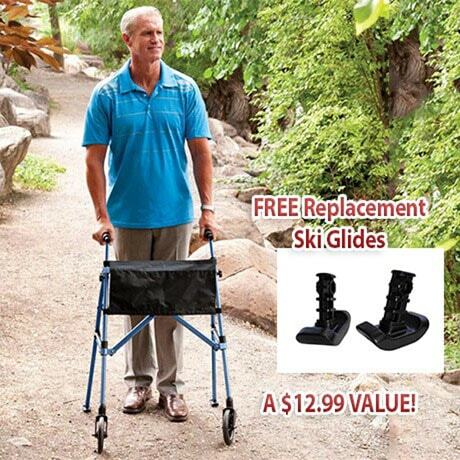 Includes free replacement ski glides.